Selling a physical yearbook to a student body in the 21st century can be a daunting task for any yearbook advisor. We have to market a dying medium to a generation that already catalogs their greatest achievements and daily mundane routines on social media for everyone to see. But there are ways to make this difficult job easier with technology. 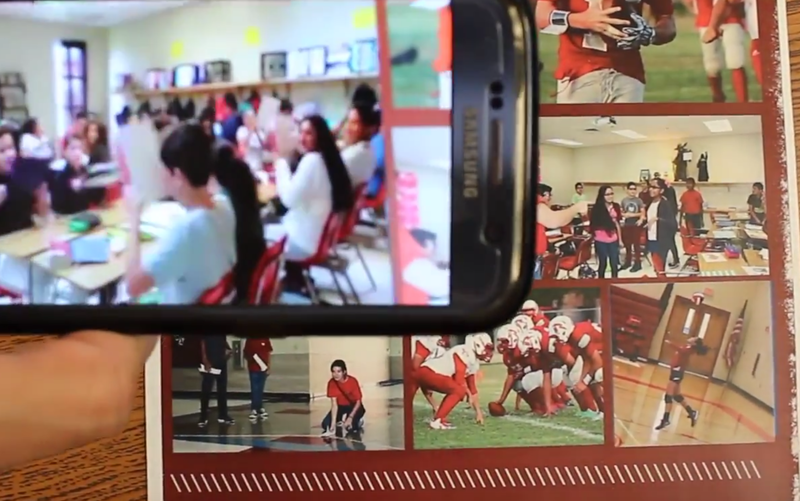 Our yearbook staff decided to enhance the yearbook by making the images on the page come to “life” with the addition of Augmented Reality (AR). Using a mobile device, AR can superimpose a picture or video over objects in the real world. (View example.) Our class used Aurasma, but there are many apps that will allow you to add AR elements to different environments. With the Aurasma app, a user can create a free account that other users can follow to access their AR media. Once the account is created, the user will upload the “trigger” image and the media that will play with the image. Note: We are not the first to add AR to a yearbook! I learned how to do this via a professional development session. Try searching YouTube for more examples. All the students were eager to rush out the door, but I chose two students for the job: one to take pictures and another to capture video footage. The first video you see in the example provided is the product of that moment. The commotion was not a protest, but an energetic lesson. Two ELA teachers had their students create a beat to help teach coordinating conjunctions with the acronym FANBOYS. It had quickly escalated into a competition between the two classes. Our staff documented a great moment that our students will be able to replay in May when they go through their yearbook. The second video in our example presented itself while I was walking to the teacher’s lounge during my conference period. As I walked past a science class, I noticed students competing with their individually-created drag race cars. It was another spontaneous opportunity for an AR feature. We continue to do our best to capture more moments for inclusion. Just the other day, we had a school talent show with 20 contestants. We were able to take a picture and a short video of each contestant that everyone will be able to relive again when our yearbook is released. Teachers can create separate accounts to display information for a specific group of students, for example, English Language Learners (ELLs). So one classroom display can meet the needs of a diverse student population. Word walls: Student scans a word and an explanation video can play. Interactive journals: These often feature visual content to take advantage of AR. Review journals: Students can create their own accounts and create a video explaining the concept of the lesson. For example, a video can pop up of them explaining how to solve a math problem. Parent’s night: Students can draw a picture and AR can be added of them explaining their drawing. By adding AR features to our yearbook, our staff has been able to capture moments that otherwise would have been overlooked and forgotten. Augmented reality is a medium that will continue to expand and be integrated into many areas of our lives. Whether aiming your phone at an art piece to get a superimposed history lesson or bringing your surroundings at your favorite Disneyland amusement park to life, AR will only improve in the future and become a seamless part of our lives. 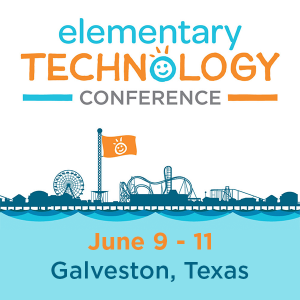 This is a guest blog post by Rogelio Ramos, Computer Applications Teacher and Yearbook Advisor for Sharyland ISD. Rogelio has 12 years of experience in education in both an elementary and middle school setting. 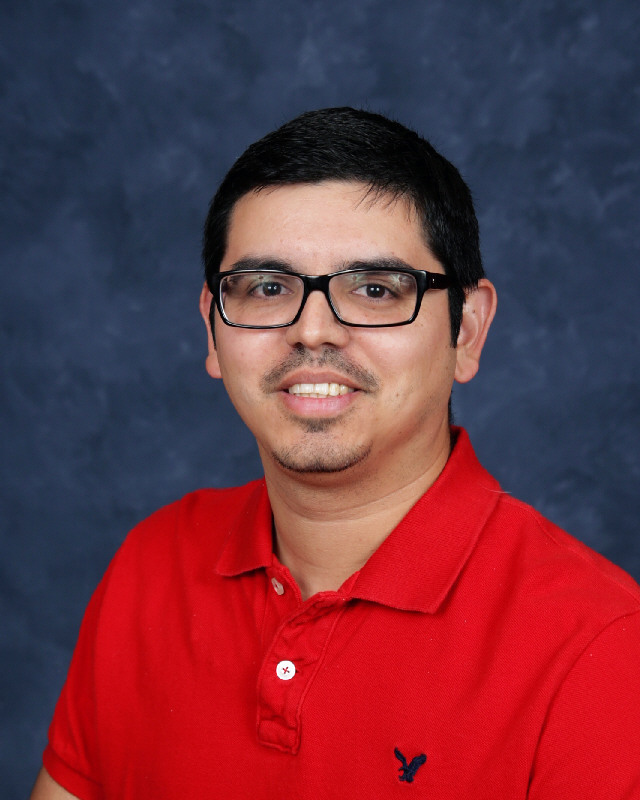 He earned his Bachelor of Arts in Economics from UTPA, as well as a Master’s of Education in Educational Technology from the University of Texas at Brownsville. He currently holds the following certifications: Bilingual Generalist 4th-8th, Master Technology Teacher EC-12, and Business Education.